SANTA ANA, Calif. – A female associate of a criminal street gang was sentenced to 45 years to life in state prison today for murdering a woman by dragging her several blocks on the outside of her car. 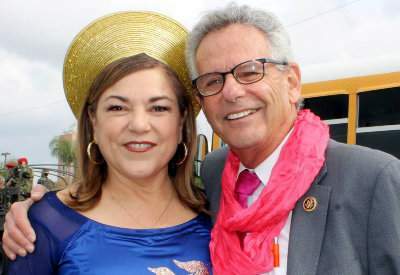 The battle between Lou Correa and Bao Nguyen, for the congressional seat being vacated by U.S. Rep. Loretta Sanchez, is heating up and getting nasty, according to the O.C. Register. (Westminster, CA) – Orange County Supervisor Andrew Do is making it easier for taxpayers to access county services with the launch of an expanded community service center. Suspect in theft of Buddhist statues arrested on South Harbor Blvd. On 03/18/16 detectives received information that suspect Trang Thu Pham was in the 900 block of South Harbor Blvd. Detectives contacted Pham and she was placed in custody for the no bail probation violation warrant. On February 26, 2016, the Chua Truc Lam Yen Tu Buddhist Temple located at 1924 West 2nd street had two of its Buddhist statues stolen from their property. Surveillance video recorded a female removing two statues (each about 2 feet tall) from a shrine adjacent to the sidewalk in front of the temple. The same female suspect returned to the temple on March 6th, 2016 and stole a third statue. Each statue is valued at $1,000. When a new movie comes out my kids and I will quickly label it as either a “must-see” or a “$3 movie.” Most films are in the latter category (and a lot of them end up on our Redbox and Netflix list). While I would love it if there was a first run movie theater in Santa Ana I really like being able to go to the Picture Show at the MainPlace Mall to see movies that have been out for a few weeks, if not months, for only $3 (and only $2 on Tuesdays). Federal authorities today arrested 11 defendants named in a sweeping racketeering indictment alleging a series of money laundering schemes that revolved around the former head of Saigon National Bank, based in Westminster, California, announced Assistant Attorney General Leslie R. Caldwell of the Justice Department’s Criminal Division and U.S. Attorney Eileen M. Decker of the Central District of California. Four other defendants, who are named in separate indictments, were also arrested today. SANTA ANA, Calif. – An automobile dealership owner and an accounting firm owner were charged and arraigned for filing approximately $1.2 million in fraudulent tax returns. Young Eui Hong, 51, and James Jun Kul Pak, 49, both of Garden Grove, are each charged with six felony counts of unlawful failure to transfer public funds, six felony counts of grand theft by an employee, four felony counts of making a false and fraudulent return over $25,000 tax liability, and sentencing enhancement allegations for aggravated white collar crime over $500,000 and property loss over $200,000. If convicted, Hong and Pak face a maximum sentence of 19 years in state prison. The defendants are scheduled for a pre-trial hearing Dec. 18, 2015, at 8:30 a.m. in Department W-12, West Justice Center, Westminster. 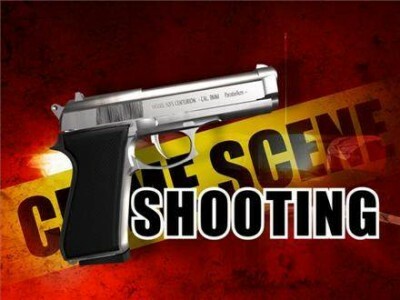 An unidentified man was shot through the cheeks while driving his white Lexus SUV on Sunday night, at around 10 p.m., with is wife and child in the vehicle, at the 11200 block of Westminster Blvd., in Garden Grove, in Little Saigon, according to the O.C. Register. The man was badly wounded and appears to have been the victim of a possible street racing feud, according to Garden Grove Police. SANTA ANA, Calif. – (August 14, 2015) – On Thursday, August 13, 2015, Orange County Sheriff’s Department investigators arrested Nhan Hoang Pham, 29, Fountain Valley; Lam Thanh Bui, 30, Garden Grove; Chieu Bach Nguyen, 29, Santa Ana; Duynam MinhHoang Dao, 23, Fountain Valley; and Keeta Thilauan, 25, Santa Ana; in connection with several burglaries and thefts that have occurred over the last several months. 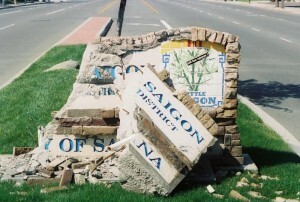 Do you remember the brouhaha that broke out more than a decade ago when a sign was erected on Santa Ana’s west side that welcomed drivers to the “Little Saigon Business District?” The Usual Suspects were upset about the sign – calling it divisive and worse. (Ironically these same people are now upset about the proposed DTSA Wellness District). 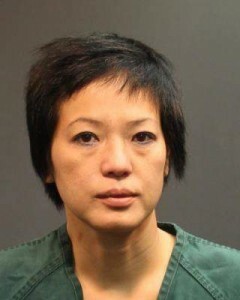 SANTA ANA – A woman is scheduled to face trial for repeatedly throwing glass bottles at statues in front of a Buddhist temple. Trang Thu Pham, 45, Santa Ana, is charged with one felony count of vandalism of a religious property, and one felony count of vandalism with damage of $400 or more. If convicted, she faces a maximum sentence of three years in state prison. Opening statements are scheduled to begin Monday, April 13, 2015, at 9:00 a.m. in Department C-29, Central Justice Center, Santa Ana.